As the Chinese government and the Vatican reportedly entered a new round of talks in June on the appointment of bishops in China, analysts warn that the Pope's conservative opponents within the Catholic Church are trying harder than ever to undermine the dialogue. Church observers contacted by the Global Times, however, are optimistic that the conservatives won't succeed in stalling the ongoing talks. Massimo Faggioli, professor of historical theology at Villanova University, said the opposition from the conservatives will not likely be a major hurdle. "The opposition to Francis is centered (culturally, politically, and media-wise) in the USA, but American Catholicism now is more and more preoccupied with itself and with Trump, and therefore it has not the political and intellectual power to counter this epoch-making shift that would be a new era in the relations between the Vatican and China. I do not think conservatives in the Church can stop Francis about China," he told the Global Times. Francesco Sisci, a senior researcher at the Center of European Studies at the Renmin University of China and a Vatican affairs expert, agreed. "Some people in the Church have opposed the dialogue for a long time. However, as many pointed out, it is important not to be intimidated by the opposition, and also not to blow this opposition out of proportion," Sisci told the Global Times. One of the reasons for optimism is that Pope Francis himself now speaks openly against the conservatives. In an exclusive interview with Reuters in June, Pope Francis said Hong Kong Cardinal Joseph Zen Ze-Kiun, a vocal opponent of the China-Vatican deal, is "a good man" who was a little "scared" by recent developments between China and the Vatican. In the same interview, Pope Francis expressed his optimism for the talks with China, saying the dialogue was "at a good point." "Dialogue is a risk, but I prefer risk rather than the certain defeat that comes with not holding dialogue," he told Reuters. 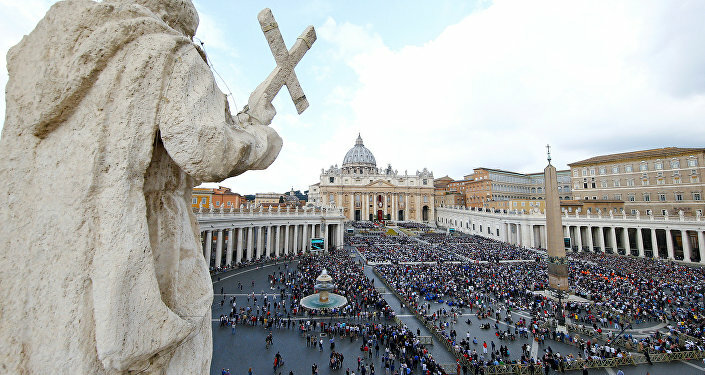 All signs have shown that the conservative camp within the Church is closing ranks against the Pope on the China issue. In addition to voicing his concerns on his blog, Cardinal Zen has also reportedly been seeking an alliance with conservatives in the Catholic Church to back his cause this year. The Reuters interview happened two months after Cardinal Joseph Zen delivered a video message to a Catholic conference attended by conservative cardinals and brought the China issue to the conference. Cardinal Zen believes a deal between China and the Vatican betrays the underground church's decades-long loyalty to the Pope. Two conservative cardinals who have openly challenged the Pope and others who accused the Pope of heresy attended the conference in Rome. 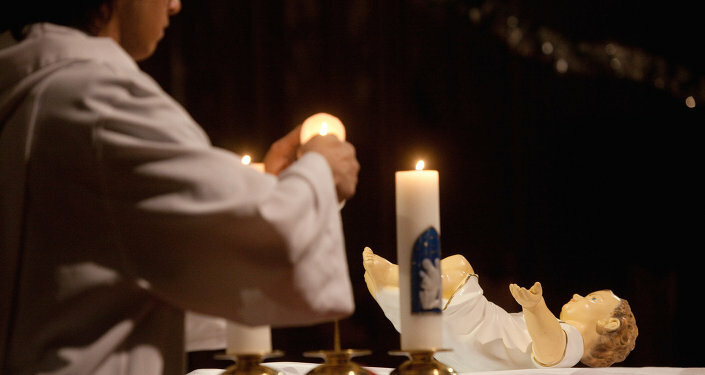 Most of the dissent centers on the Pope's teachings on family and marriage, which controversially allow divorced and remarried people to receive Holy Communion. American Cardinal Raymond Leo Burke, one of four cardinals who challenged Pope Francis over some of his teachings on the family and divorce, was the main speaker at the conference, Reuters said. Cardinal Zen brought the China issue to the conference and said, "We fear that the center will make decisions that really are not useful for the real growth of the Church (in China)," Reuters reported. He also solicited support by saying, "I hope that you will follow us and occasionally play our part at the center of the Church." But experts say while China's strict religious regulations and dissent inside the Catholic Church will pose obstacles, the dialogue will likely move forward with the commitment of Pope Francis. "Actually I think [Cardinal Zen's] opposition is in some ways positive for the normalization of ties, as he has no real argument against it and thus it proves that dialogue is the only way forward," Sisci said. 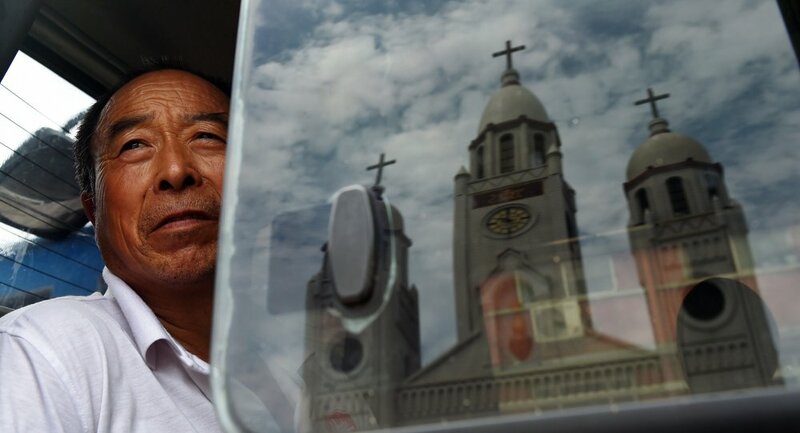 For decades, the Catholic Church in China has been divided into two communities. The State-sanctioned Chinese Catholic Patriotic Association (CCPA) appoints its own bishops without the approval of the Pope, while the underground community swears allegiance solely to the Pope but is considered illegal by the Chinese government. Since China and the Vatican resumed talks in 2014, dealing with the underground church has been one of the major obstacles. In sharp contrast to the conservatives within the Church and many other religious freedom activists, Pope Francis has expressed his optimism for the dialogue with China on several occasions. "I think the Chinese people merit the Nobel Prize for patience. They know how to wait. Time is theirs and they have centuries of culture…. They are a wise people, very wise. I have great respect for China," he told Reuters. Experts say the interview shows the Pope is committed to dialogue even though he is aware of the difficulties. "Compared to the rumors of a few months ago, when agreement between the Vatican and China seemed imminent, the negotiations may have slowed down, but they have not stopped, and this is something important that Francis says in the interview," Faggioli said. Sisci said, "The message is that the Pope is extremely keen on reaching an agreement as soon as possible, he thinks this agreement is important for the Church and for China. I would say that it is very important that when tensions arise around China on many fronts, the Pope is steadfast in his determination for dialogue with Beijing." Improving the ministry of the church and achieving a reconciliation between the underground and the aboveground clergy is the main reason why Pope Francis is eager to improve its relations with China, Yang Fenggang, a professor at Purdue University's Center on Religion and Chinese Society, told the Global Times in a previous interview. Other factors, such as the Pope's personal background, also play a role. "Pope Francis is from Latin America. He believes he has a good understanding of Marxists because of the liberation theology that was popular in Latin America, and he thinks the Chinese Communists are perhaps similar to the Marxists in Latin America," he said. "Pope Francis is a member of the Jesus Society, and so was Matteo Ricci, who led a successful mission to China about four hundred years ago. The Jesuits are usually more flexible in their evangelization approach. Pope Francis is probably inspired by Matteo Ricci, and hopes to follow Ricci's path to walk across China to enter Beijing." "Thinking about global affairs, Vatican-China relations could be the single most important relations in the world today. If Pope Francis could visit China, its significance and impacts could be bigger than President Richard Nixon's visit to China in 1972. It will be an earth-shaking and world-changing development," he added.